Gaby started as a camp volunteer in 2004, working first as a cabin counselor, then as group leader. After spending 5 years in the advertising industry in New York City, Gaby stepped into the role of Camp AmeriKids director in 2006 and served as Executive Director from 2006 until 2015. She has extensive summer camp and management experience, having spent many summers as a unit leader and administrator at Camp Regis in the Adirondacks. She holds a BA in Cultural Anthropology from Wesleyan University. Chris is a Co-Founder and Managing Partner of Spark Digital, an experienced group of product and business strategists, designers and developers. Spark Digital specializes in building software products to distribute, monetize and analyze digital content in all forms. Prior to Spark Digital, Chris was the CEO & Co-Founder of Panvidea, a venture-backed company that was sold to T3Media. He also previously worked at Yahoo! and Sony Music Entertainment. 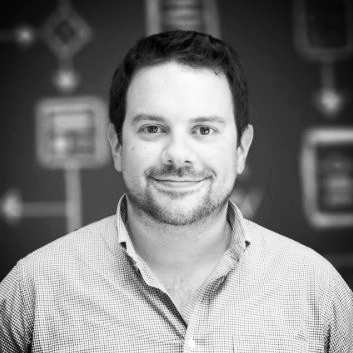 Chris is also a TechStars Cloud mentor and the organizer of the NYVC Tech community. Chris was introduced to our community through his wife Abby, a long-time Camp AmeriKids volunteer. Dr. Chamdawala currently serves as Medical Director of The ELM Project. Known to the kids as “Dr. H”, he has been volunteering with Camp AmeriKids since 2016. Bayard Dodge is retired after a 32-year career in international commercial insurance. He held various positions in client management, brokering, operations, business development, underwriting and international business assignments. He worked at firms including AIG, Johnson & Higgins, Marsh, Towers Perrin and Swiss Re. He holds a BA from Princeton University and is a Director at the Cleveland H. Dodge Foundation and a Trustee of International College, a school in Beirut, Lebanon. Justine has been an active volunteer at Camp AmeriKids since 1999 and it was the Camp programming that sparked her professional focus on public health. Most recently, she served as the Immunization Technical Advisor & Team Lead at the International Rescue Committee. Justine has worked for relief and development agencies for more than 15 years, including World Vision, the CORE Group, the American Refugee Committee as well as the World Health Organization. Her work has spanned posts in Darfur, Uganda, Cameroon, the Pakistan-Afghanistan border, Ethiopia and Haiti. She holds a Masters in Public Health from the London School of Hygiene & Tropical Medicine and a Masters certificate from Georgetown University in Refugee Studies & Humanitarian Affairs. Don brings 36 years of diverse experience working in the financial services industry. He has held various positions in investment banking, capital markets and asset management at firms that include Smith Barney, Nomura, Donaldson, Lufkin and Jenrette and Credit Suisse. Don’s wife, Leslyn, has been a long-time volunteer at Camp Amerikids. Don holds a B.A. from Stanford University and a M.B.A. from New York University. Alaina is the Director of Development Operations and Direct Response at Americares. She has spent her career focused on non-profit operations and business processes, consulting and working for organizations in spaces from healthcare to higher education to advocacy. She graduated from Suffolk University in Boston with a BSJ in Public Relations and Marketing. Alaina has been volunteering with Camp AmeriKids since 2015, and wishes she hadn’t waited so long to get involved in such a fantastic program.